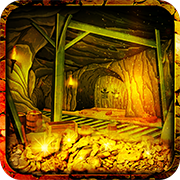 Description: 1948th-SECRET IN GOLD MINE is the story of THE LOCKER new detective game developed by ENA GAME STUDIO. There was four scientists were killed and one was missed. We are in a job of finding the fifth scientist. We have saved the fifth scientist in gold mine. And now we have to go to secret place in gold mine to find the detail about the general. It is not much easier unless you guess the clues. Good Luck and Best wishes from escape games.